Monday 16thOctober – 3:30-6:00pm at De Montfort University, Leicester. We are working with FIRST®LEGO® to offer you a FREE training session to learn about using LEGO Education Mindstorms equipment, specifically for building robots for the FIRST®LEGO® League competition. John and Colin will be running the session at De Montfort University. Anybody who is running a FIRST®LEGO® League team is invited to join in – so please spread the word! The session is for the coaches rather than the students themselves. You will need to register your attendance via email to Harriet Pole at harriet.pole@dmu.ac.uk. We have put the training at the end of the day, to try and make it easier for you to attend. Just drop an email to Harriet to confirm you can join us. We hope you will find this session helpful and look forward to seeing you there. If you have any questions, please contact Harriet. It’s a great chance to get into FIRST®LEGO®! This entry was posted in FLL, Lego, STEM. Bookmark the permalink. On your marks, get set, flow! The FIRST® LEGO® League Hydro Dynamics Challenge is on! ‘Build To Give’ is on! 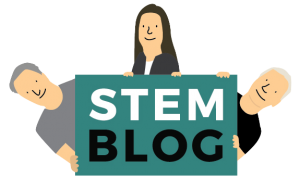 Keep your teaching up to date with the latest STEM news... Please give us your comments! An amazing LEGO Education Innovation Studio! ‘Little Miss Inventor’ to be launched in March 2018!